Suitable for 6 people, overlooking the sea, near the shoppingo and the beach. The apartment is duplex and penthouse, having partial sea view of the two balconies (upper and lower). It is suitable for families. The apartment itself is very quiet and comfortable, who knows Riviera in love. It is located in the module 6 that is next to the mall, next to the golf course and very close to the beach, which also has beach service. There is a vacancy, which is demarcated. The apartment is for 6 people maximum and is located within the Closed Condominium of Riviera de São Lourenço, considered one of the best in Brazil in the area of security and leisure. 1 American room with dining table for 6 people, 1 LCD TV, sofa, 1 fully equipped kitchen with refrigerator, freezer, hob, microwave, household goods and water purifier and also service area with a tank and a machine washing clothes, still has 1 toilet and 1 balcony with table seats. Televisions have cable television (net) and exclusive WiFi. The building offers: 1 parking space in the demarcated covered garage with easy access, beach service (4 chairs and 1 umbrella), swimming pool, games room for adults and children and sauna. Excelente. O apartamento atende todos os requezitos para uma estadia em família. O condomínio muito organizado. E a Praia muito limpa. Sem contar o grande diferencial. A anfitriã Dª Silvana. Sempre muito atenciosa. Muito obrigado, por nos proporcionar um fim de ano inesquecível.Espero voltar em breve.. Abç. Todo dentro do informado. 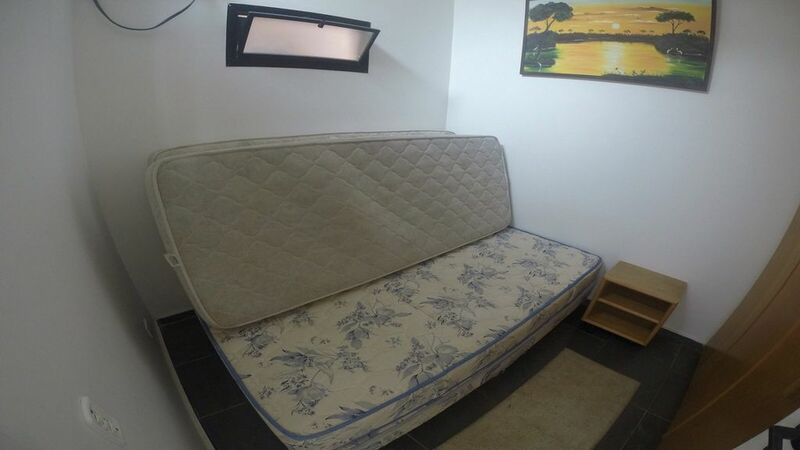 Apartamento limpo, bem localizado, com as necessidades perfeitas para estar na praia. Gostamos e não temos nada que falar de ruim. Recomendo para familias pequenas, até 4 pessoas. Adoro é a segunda vez que vamos para este apto. A primeira vez passamos um reveillon, e foi muito atendeu perfeitamente minha família de 4 adultos e u pequeno cão, proprietária super atenciosa, super indico. Belo apartamento em ótima localização! Gostei, espero poder voltar em breve! Atendimento e atenção da proprietária foram excelentes! Easily accessible, located in Rio Santos will about 12km of Bertioga. Quiet town with infrastructure considered one of the best in Brazil.